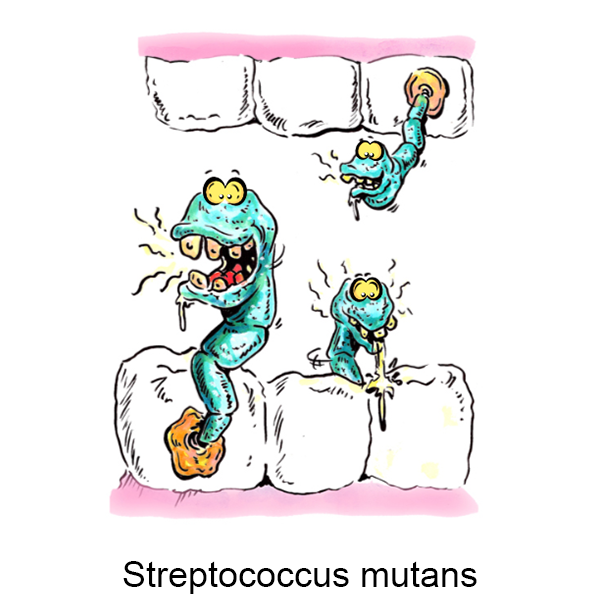 Habitat: Strep mutans can stick to tooth surfaces and live in tiny cracks in teeth. It lives and grows in acid conditions where other bacteria cannot. It interacts with sugars in foods to create an acid environment which causes teeth to decay. Prevention: Brush teeth at least two times a day – morning and bedtime; floss between teeth every day; eat healthy snacks that are low in sugar.